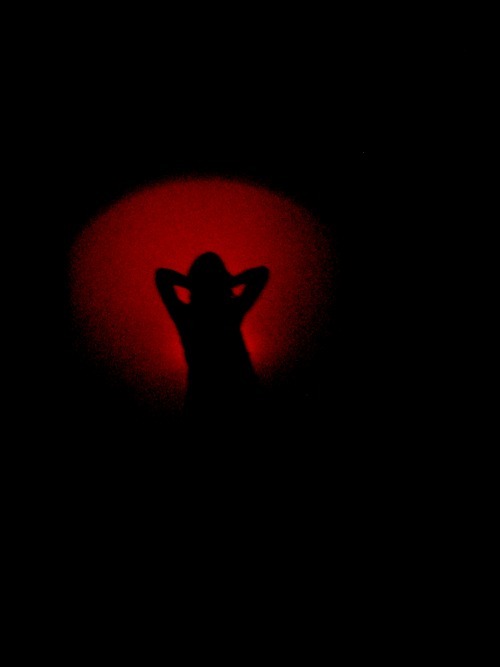 Salome was a life-size puppet opera and was performed by Fluid Performance Group. 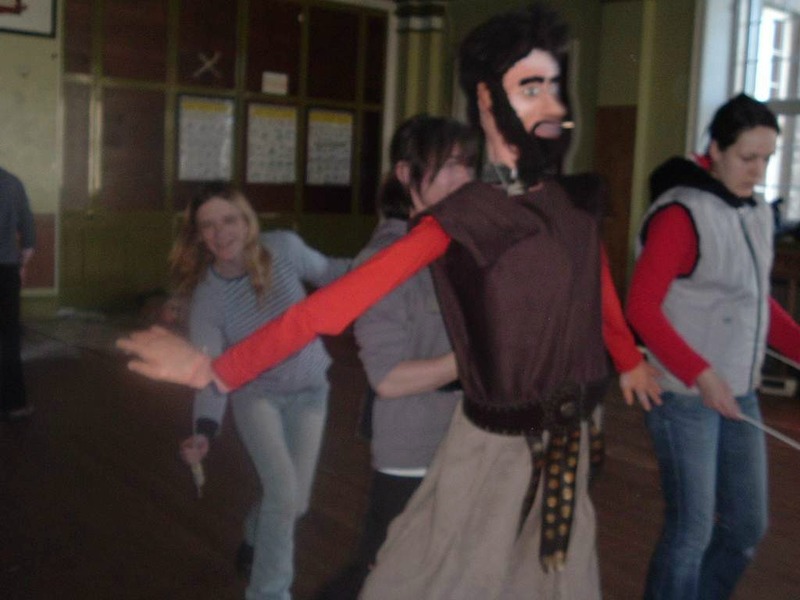 The puppets were built by the Mayo Artsquad with the artistic guidance of Carmel Balfe. Some of these puppets were six foot tall but using techniques like hollow casting and foam pattern bodies they were surprisingly light to carry. (musical director), Carmel Balfe (artistic director) and Mick Smyth (producer). Most of the performers had never puppeteered before or taken part in an opera but within a few months of rehearsing you would never have known that. 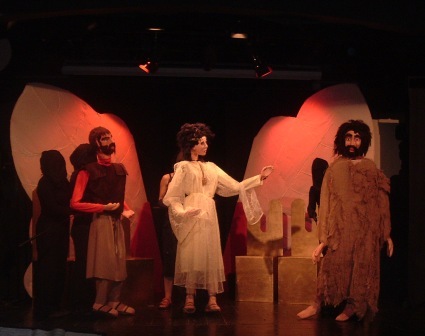 Salome was performed with the singers live onstage with the puppets. Some of the performers even learned how to sing opera for this production, thanks to their dedication and the hard work of Eriko. Once the show was ready it went on a nationwide tour ending in a show that received a standing ovation in the Linenhall Arts Centre in the home town of Castlebar. It was produced as a collaboration between Fluid and the Mayo Artsquad funded by FAS and Mayo Co. Council Arts Office. Bringing together people from many different walks of life. The unlikley production of Salome was produced with a vibrant cast of performers celebrating the joy of opera and pushing the limits of puppetry. This is the magical journey of a child called Amarty which means first-born. The name is significant in that the show is about journeys into new and undiscovered places. It was written in response to the stories of a group of women from all over the world who had come to live in Mayo. As a medium the shadow puppetry provided a means to explore the beautiful imagery evoked by the writing of this story. The show was written by Noeline Kavanagh who also worked with the group of women in collecting their stories. It was built in collaboration with Carmel Balfe, Sharon Holland and the Mayo Artsquad. Amarty’s Journey was supported by Mayo Intercultural Action, The Department of Justice, East Mayo LDP and Mayo Co. Council Arts Office.